A marketing & Facebook Ad Strategist passionate about helping high-performing entrepreneurs like you grow your impact online. You’re here because you’re a powerhouse on a mission to scale and help more people through your programs & services. You just need the right tools (paid ads) and partner to make it happen ASAP. My job is to help you eliminate the overwhelm when it comes to marketing your business online so you can stay in your zone of genius and focus on doing what you do best. By creating and executing insanely effective marketing campaigns that will help you predictably grow your audience, generate new leads and make more sales every day. Someone’s gotta help you if you’re after that million dollar impact - am I right?! With more than 6 years of experience in digital marketing and over 4 years running my own business, I have a unique perspective on what it takes to successfully market yourself online…. …not just for myself but for hundreds of different entrepreneurs & businesses. I use years of experience and results to bring you what you need. Not more time (I wish) but...the strategies that will allow you to hit massive growth and ROI...like you never thought possible. I started Jaymie Tarshis Consulting in 2014 to help more businesses tap into the power of digital marketing. After offering a handful of services from SEO to Social Media to Content Creation – I quickly discovered that Facebook Ads were the best and most cost-effective way for me to get massive results for my clients. Fast forward to today, and Facebook and Instagram ads are all I do. Over the years, my campaigns have been personally responsible for selling out programs, promoting book launches that have become best-sellers, and generating hundreds of thousands of leads and customers for my clients. I love showing entrepreneurs what’s possible when you have the right tools and marketing strategy in place, empowering them to take control of their growth. 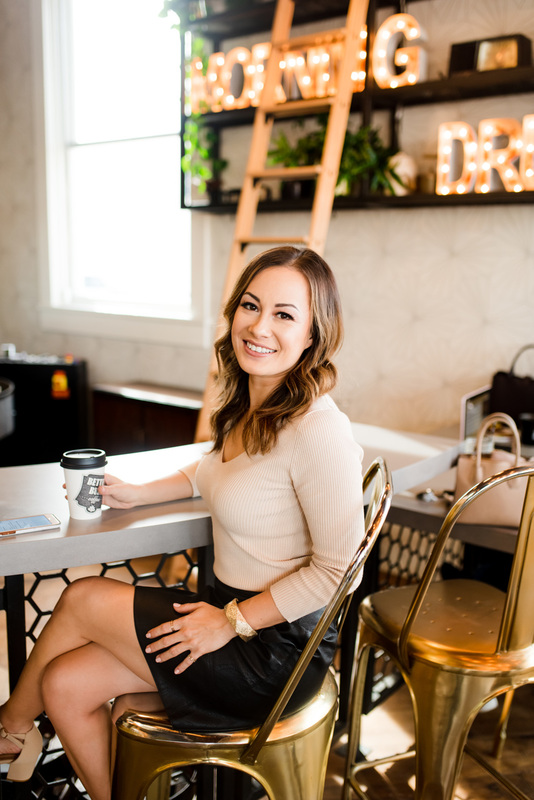 Whether you're the type of person who loves to learn and empower themselves or you'd rather pay someone to do the heavy lifting for you, I offer a couple of different of ways to work together that will fit your business needs. What about when I'm not geeking out over Facebook Ads or consulting with clients? —> I'm a born and raised Utah girl but decided to swap the mountains for the beaches of San Diego 4 years ago. —>I have two adorable dogs named Bella and Maya and I completely fit the description of a "crazy obsessed dog parent." —> I'm obsessed with learning and usually consume at least one podcast, book, or video each day. —> Growing up I always thought I was going to be a professional dancer, but my passion to serve people through business and marketing ultimately led me to where I am today. Interested to see what I could do for you? Reserve me for 30 minutes for $0…and find out.